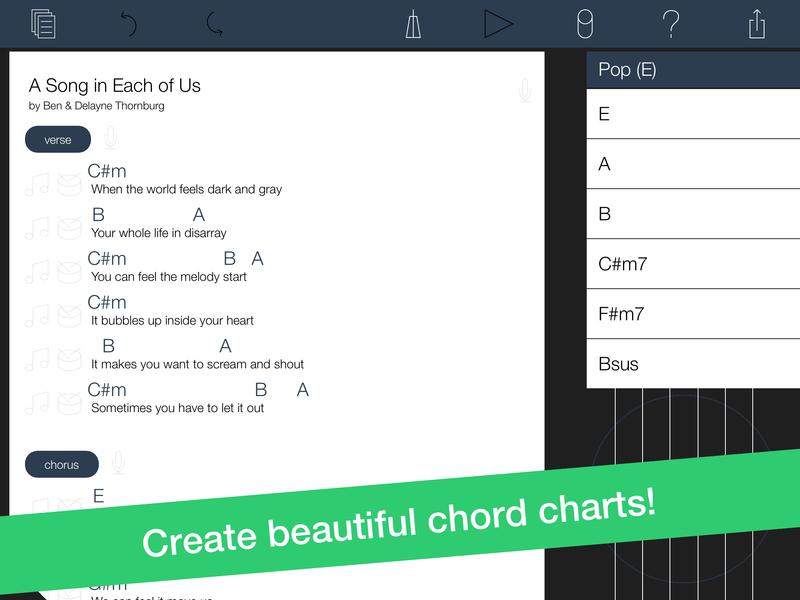 VCVCBC Songwriting Studio is a musical idea sketchpad that organizes your lyrics, chords, melodies and rhythms into beautiful chord charts. There's no need to worry about notation or production. VCVCBC uses a very comfortable workflow to allow each songwriter to finish a song in the way they work best. 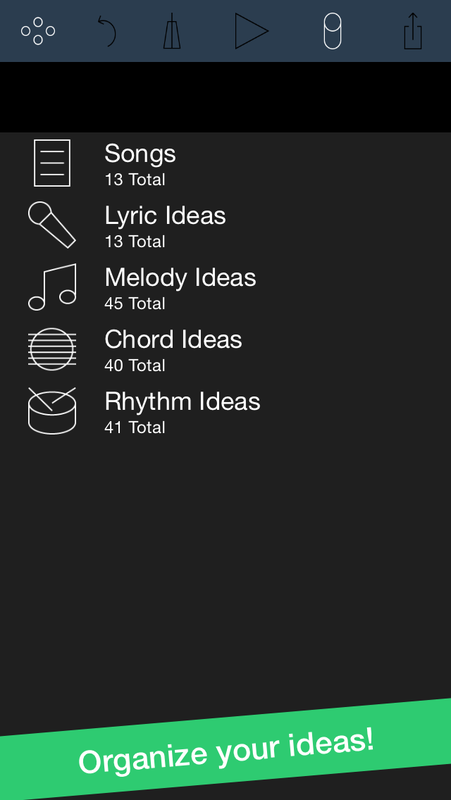 Ideas and songs can be shared over email and Dropbox in a variety of formats, including audio, MIDI, PDF and a proprietary format to collaborate with other songwriters. VCVCBC Songwriting Studio was first conceived in 2010, when the iPad was first announced. After two years of learning, planning and development, the first version was released for iPad. After completing several other projects, VCVCBC Songwriting Studio was redesigned. Faster. Stronger. Awesomer. 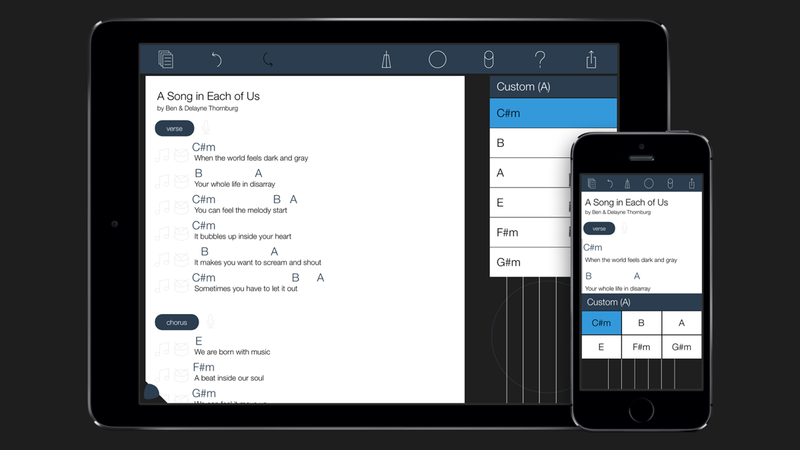 The all-new version is universal for iPad, iPhone and iPod Touch with audio recording capabilities and tons of sharing options. 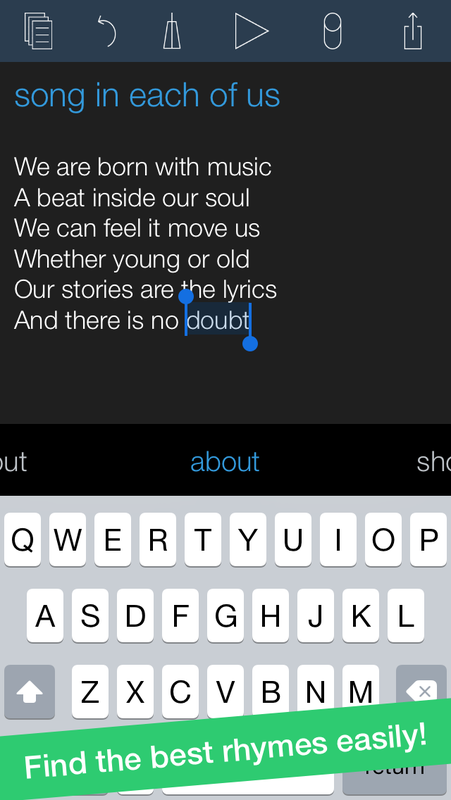 Start with a lyric, melody, chord progression, rhythm or a quick recording of anything, really. Record an audio demo for each line, section and/or the entire song. Want to just record something fast? 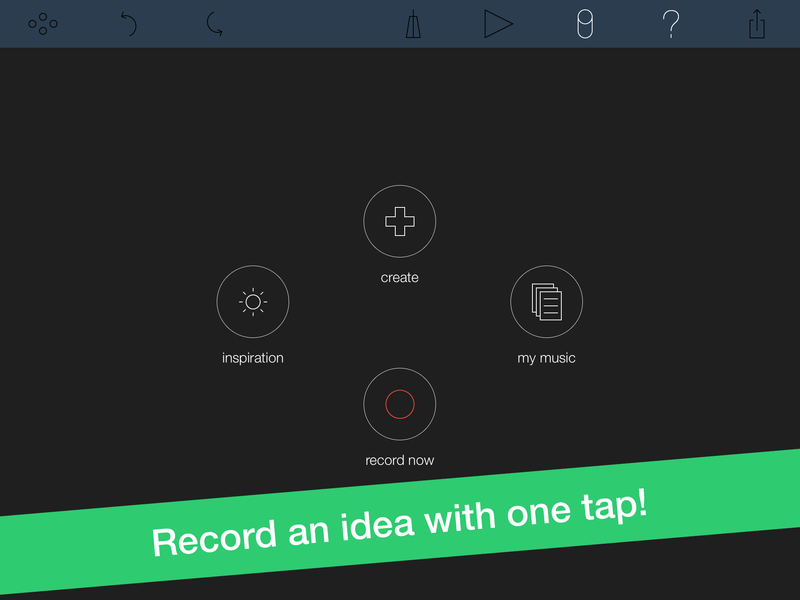 Record a quick idea with one tap from the first screen, and develop it into a full song when you're ready. 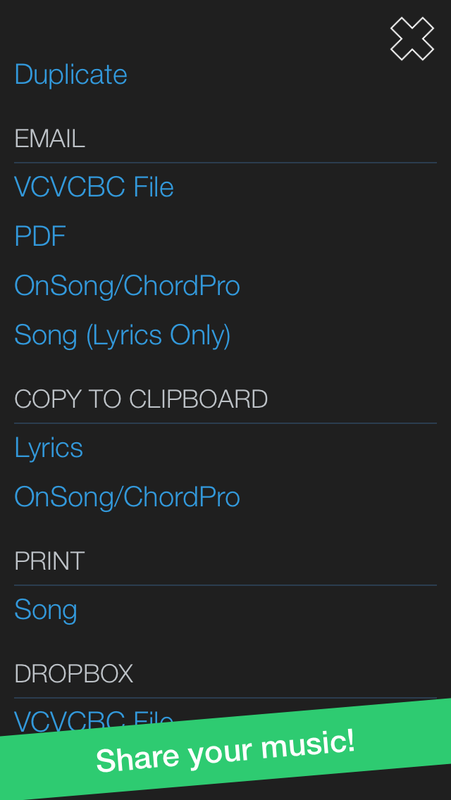 Save songs as PDFs, text or ChordPro files, either directly to Dropbox or over email. 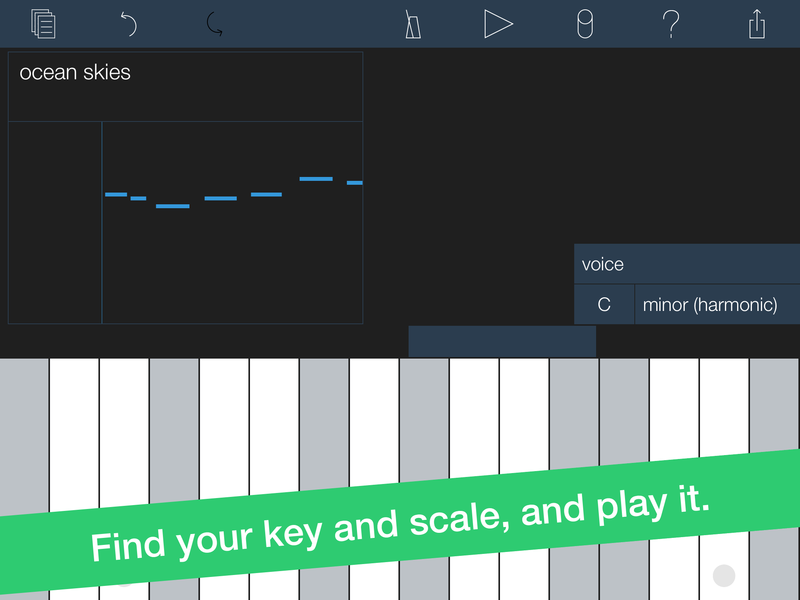 Create MIDI or audio files from your melody and rhythm ideas. 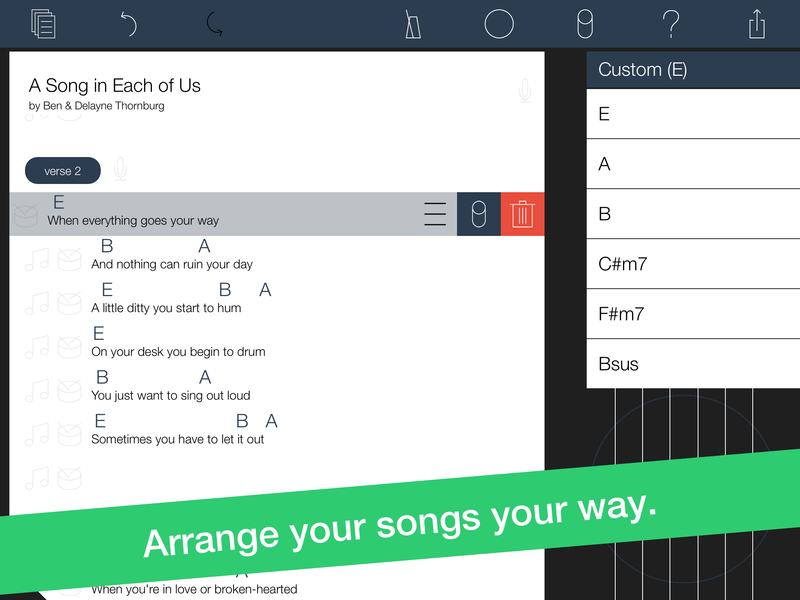 Export songs directly into OnSong to create your original set lists. Print to any AirPrint-compatible printer. 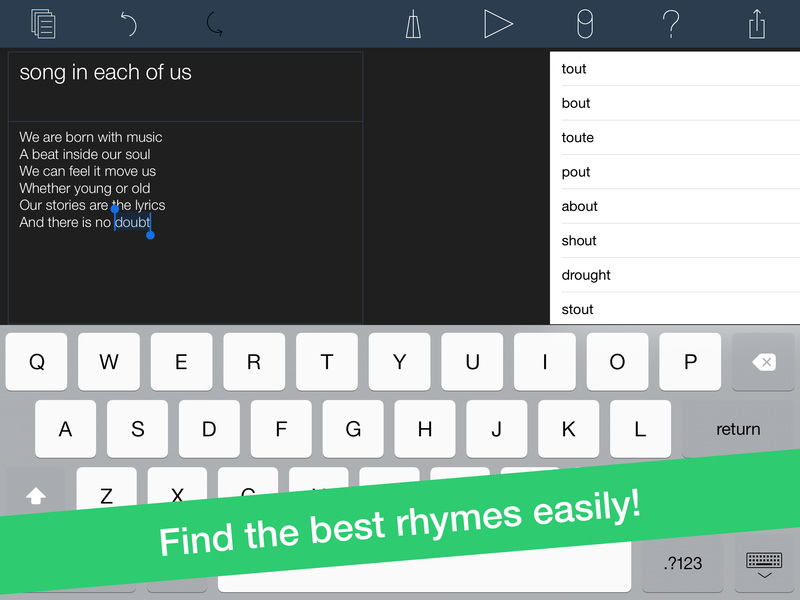 Rhyming Dictionary conveniently available when editing lyrics (requires online connectivity). 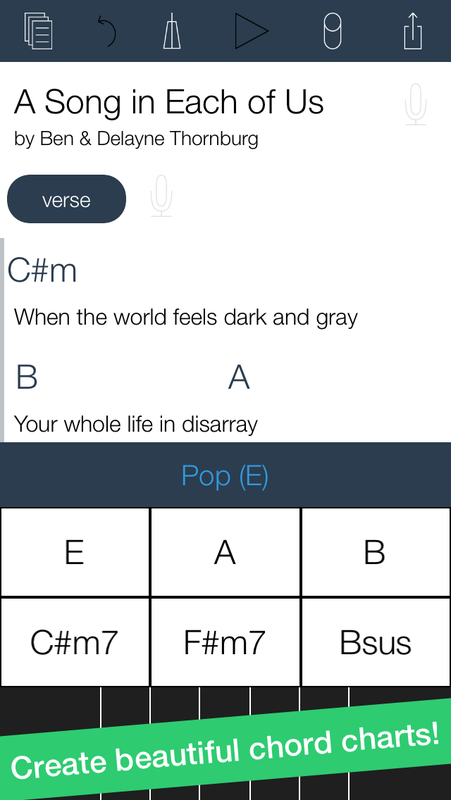 Over 20+ chord progressions built-in, with powerful chord editor for endless combinations. Built-in metronome with tempo tap. 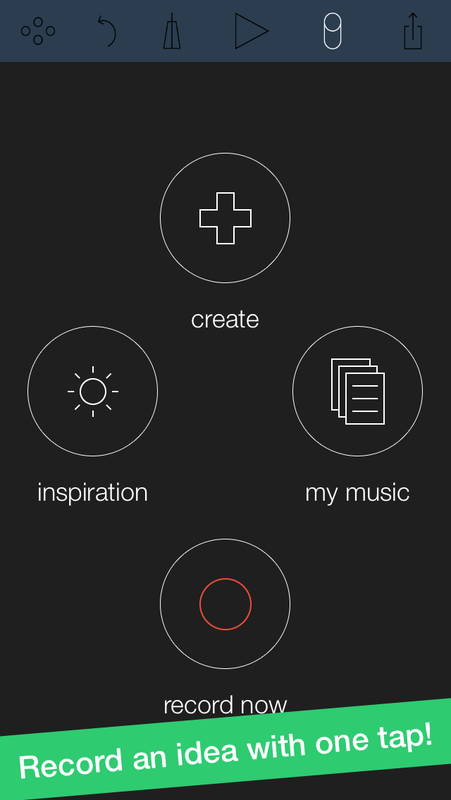 Inspiration button generates a random quote, joke or phrase to kickstart your songwriting flow. 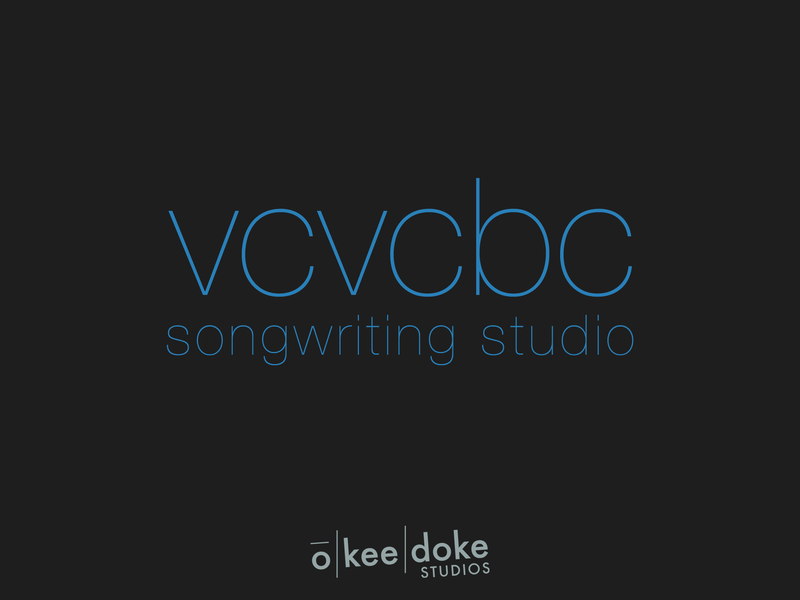 "There are several apps that try to be a mobile song sketch pad, but I think Okeedoke have finally nailed it with VCVCBC..."
Please request a press copy by sending us a quick email. 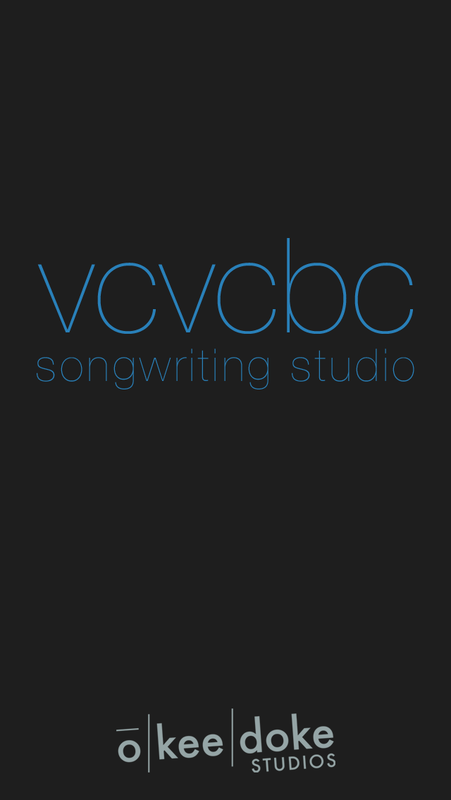 The official VCVCBC Songwriting Studio twitter handle. twitter.com. The official VCVCBC Songwriting Studio Facebook page. facebook.com. When VCVCBC was first released in May, 2012, Ben and Delayne Thornburg imposed a challenge upon themselves to write a song every day for 30 days. These videos are the proof of that achievement. youtube.com. More information on Okeedoke Studios, our logo & relevant media are available here.